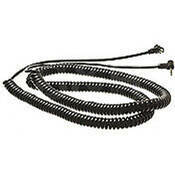 The Paramount PW-PC16 Sync Cord is a 16' long coiled sync cord that features a Miniphone plug at one end, and a male PC connection at the other end. Ideal for use with a Pocket Wizard Radio Slave. Box Dimensions (LxWxH) 10.5 x 4.0 x 1.0"